Yesterday I had the opportunity to pick up some packages of frozen corn. The price was right so I got 36 packages. Now what do you do with all this frozen food, not enough room in the freezer to fit it all in. 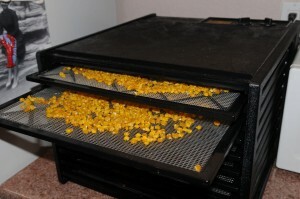 I just got our nine tray Excalibur Dehydrator out. 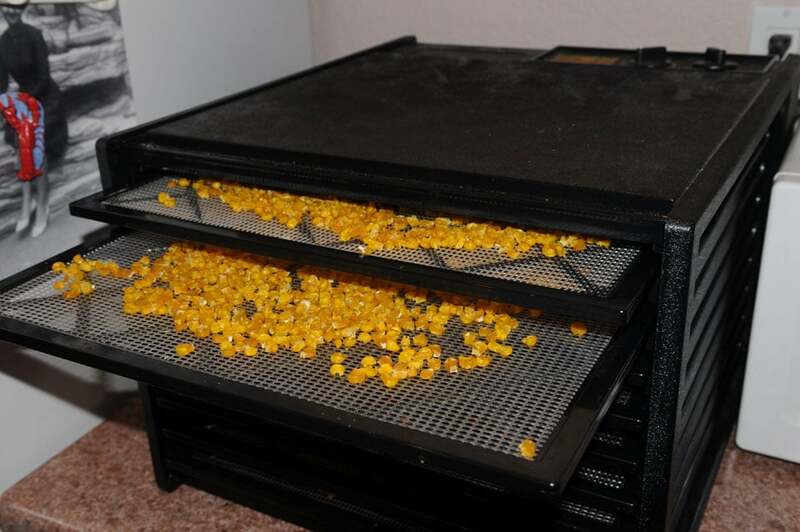 All the corn that wouldn’t fit in the freezer went right into the dehydrator. I sent it to 125 degrees and by morning, I will have a nice batch of dehydrated corn.